Baby first aid Bolton and surrounding areas. We cover the following areas, but if your area isn’t listed, just get in touch. If you’ve ever thought in an emergency: What would I do? This is a course which will teach you these skills to care for your family. You will learn Children & Baby First Aid in those vital minutes and Emergency First Aid for all your family, from Birth upwards. Learning and practising these skills will give you the confidence and knowledge should an emergency situation arise. It will help you respond promptly hopefully preventing a minor injury, turning into a major incident and it may save a life. 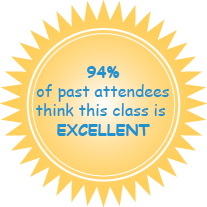 Please take a look at Reviews and see what others thought of the course. With over seven years experience and a wealth of knowledge, you will be trained by a fully qualified instructor. You can leave feeling very proud that you have learned the most important skills any parent can learn for their family. Open classes are held in these areas which everyone is welcome to attend and we also offer home classes for you and a group of your friends or family in the comfort of your own home. These are very popular! It’s an essential course, where you learn in morning, afternoon or evening, skills you will never regret learning. We look forward to seeing you at a Bumps and Bashes first aid class soon!